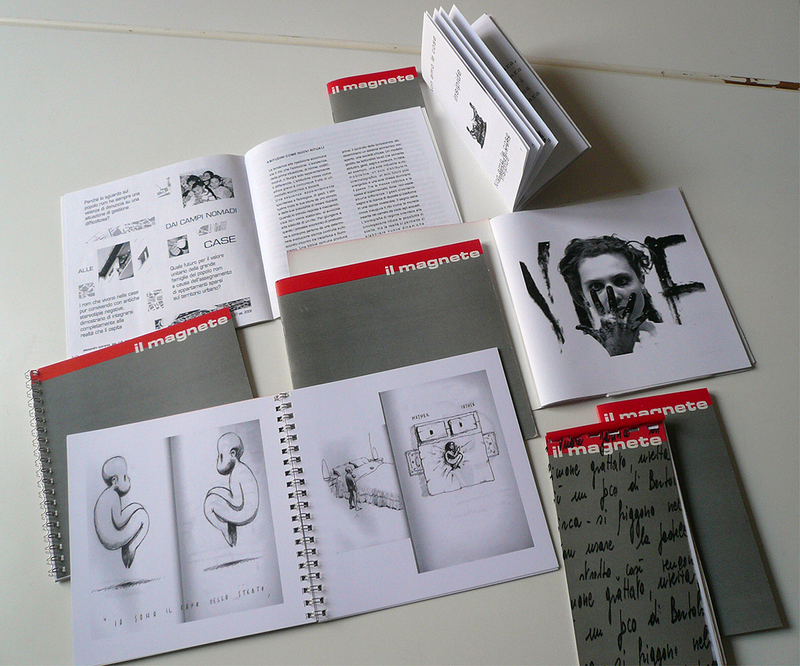 The artistic project Il Magnete was grounded in 2001 from the necessity to create alternatives art spaces organised by artists. Together with Marco Callea, Gianluca Sudano and Alessandro Quaranta we started a series of events like exhibitions, lectures and a series of printed issues concerning the principal items broadened during the events. All the actions were focused on the possibility to use alternative art space, in specific private living space with a certain attention to the interaction within identities inside these spaces. A series of daily exhibitions were organized under the name “compote”, in five years. Artists were invited to create site-specific works in dialogue with the hosting apartments. In this case it was really important to deal and the cooperate with the dwellers that offered us their home and private space to change them in a social, open and interactive space. Further more, food issues were also a very important thing. Under the name of “Bouillabaisse e Bruss”, we have started a collaboration with an internet restaurant based in Turin, (the Bu.net);. Here we have invited artist to set up exhibitions in the restaurant, working on the effect of sharing visual items and taste, sharing conviviality on aesthetic items. The audience could also eat and taste food, often prepared by artists themselves. Following this red thread we started a series of lectures about the social culture of behavior in the context of the living space inviting also “books of etiquette” and Art historians. These series of lecture took form of Picnic in cooperation with a no-profit artistic space “En-plein air”, in the neighborhood of Turin. On the other hand we had also he necessity to print a magazine, conceived as physical space for special projects. It concerned not only writing but also design, drawings and conceptual artistic projects. In 2005 Il Magnete produced the project “Zimmer Frei” in Berlin, a 15th days exhi-bition in an apartment before his clearing out. Each day a different artist showed Photographs, Theater, Performance, Music, and Installations. In this occasion too, our main focus was to explore social and private space through the issue of cultural identities.